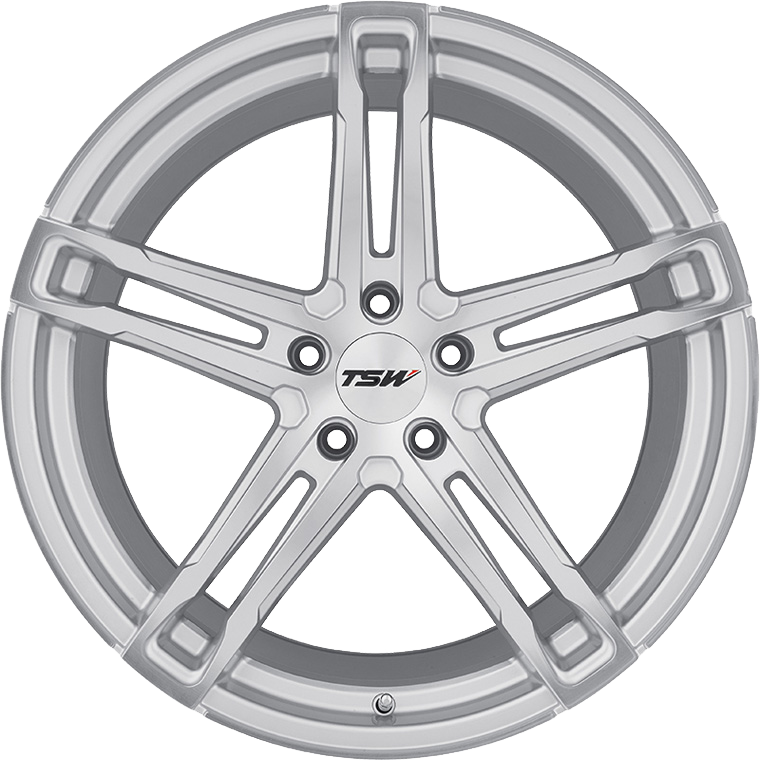 This spare, elegant five-spoke, one-piece alloy wheel delivers the vehicle performance improvements of reduced rotational mass. Dramatic weight savings are achieved through simplicity of design combined with the advantages of rotary forging, an exotic manufacturing process that produces rims with both reduced weight and increased durability. Appropriately, Mechanica, as a name, pays homage to the branch of mathematics governing movement. The exquisitely sculptured spokes of these custom wheels are accented in each of the available finishes by a contrasting edge detail, at the wheel perimeter and outlining the spokes. Like all TSW aftermarket wheels, Mechanica is manufactured in a multitude of sizes and with a large variety of bolt patterns and center bore sizes for a precise fit on the widest possible range of vehicles and to enable staggered fitments. The Mechanica is manufactured using a highly advanced production technique called Rotary Forging. The rim of the wheels is forged at high pressure while the wheel is spun at high speed. This alters the molecular structure and enhances the strength of the alloy. The benefit is a much lighter weight than a regular cast wheel. Most importantly, the weight saving is in the outer rim of the wheel which dramatically reduces rotational mass and enhances vehicle performance.